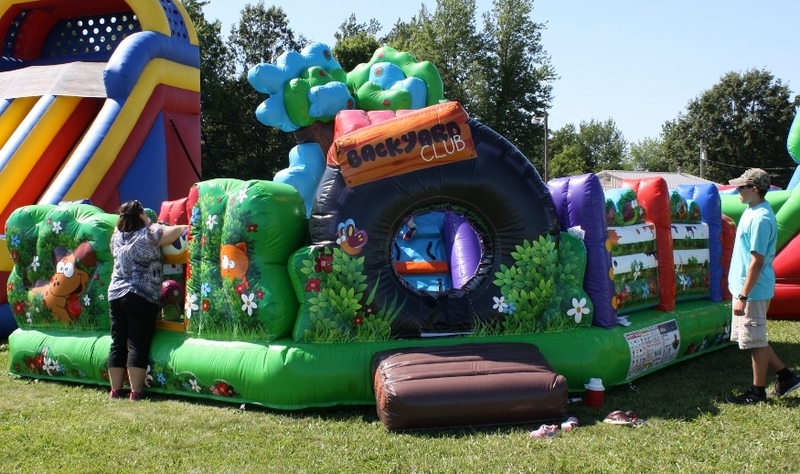 The Backyard Clubhouse Toddler Combo gives small children a fun and safe environment to play in their own “backyard”. The kiddos eyes will be wide with excitement as they enter through the tire and see all the fun areas to explore. They will find pop up backyard animals, mushrooms, and many crawl throughs. 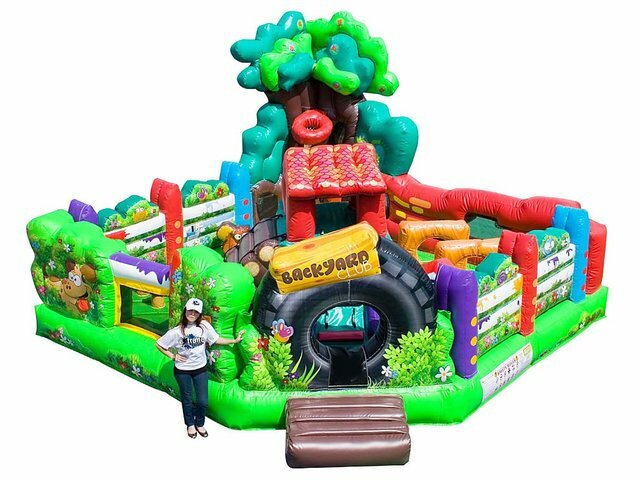 They will even find a climbing area up to the club house, “just the right size” slide, basketball hoop and bouncing area. It’s sure to be a hit with the toddlers at your party and they will be entertained for hours! Reserve The Backyard Clubhouse Toddler Combo Today!